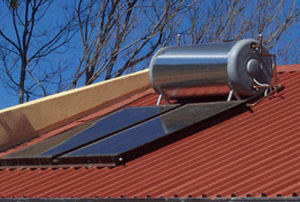 Get up to 4 Solar Geyser quotes from leading installers in South Africa. Compare solar geyser quotes, sizes and technologies. 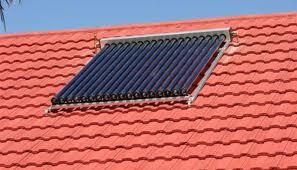 Request portfolios and testimonials from our listed solar geyser companies. We at jhb.solarcrystal.co.za are passionate about getting you the best deal on a solar geyser. When you complete our form, we contact our network of top professionals who in turn contact you to give you their best prices. We do not pass your details on to anybody else. When looking for a solar geyser, it’s hard to make an informed decision without getting at least 4 quotes from different independent companies that all know they are competing for your business. We take the hassle out of doing this by asking you to fill in just one simple form. What are the financial benefits of a solar geyser? Solar geysers are a technology proven to cut your electricity bill massively. With electricity costs going up and solar geysers becoming more and more affordable, there couldn’t be a better time to start saving yourself money every month. Solar geysers usually pay for themselves in under two years because they save you so much money on your electricity bills. After that, it’s all savings. And the Environmental benefits of a solar geyser? While almost everyone wants to save money, many people also want to cut down their carbon footprint and start doing what they can for the environment. Traditional geysers can be among the top users of electricity within your household, and therefore the worst for the environment. South Africa, especially Gauteng, offer and ideal climate to make use of solar geysers and significantly reduce our impact on the environment. Very happy with the service. I received 3 quotes in no time and the providers were very helpful. Prior to using Solar Crystal I didn’t know what the different systems were and which would be right for me. Landed up saving 17% by comparing and the system is working like a dream.